Making your favorite restaurant recipes at home is a great way to save money and time! This collection of 13 Best Copycat Recipes for Restaurant Casseroles is great because not only do these copycat recipes taste just like the restaurant version, but who doesn't love a comforting casserole? From Cracker Barrel chicken casserole recipes, to Applebee's dessert casseroles and more, these secret restaurant recipes will make you never want to dine out again. 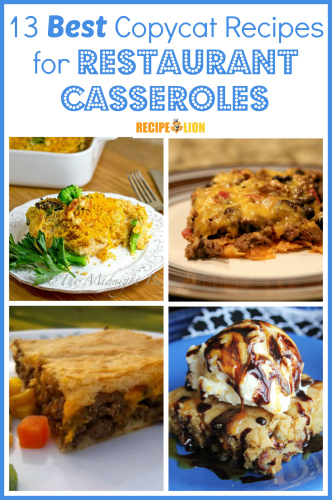 Restaurant Recipes for Dessert "Casseroles"
Some of our most popular copycat recipes are those for comforting, homestyle casseroles. These easy casserole recipes taste just like those served at some of your favorite restaurants, like Cracker Barrel Old Country Store and more. There's always something great about making the homemade version of a restaurant dish in the comfort of your own kitchen. Gather the family to enjoy these easy copycat recipes for dinner! Stouffer's Copycat Grandma's Chicken & Rice Bake (shown) - Tastes just like the family-style meal you love! Cracker Barrel Copycat Cheese Chicken and Broccoli Bake (shown in collage above) - This comforting copycat recipe is a classic. Addictive Dorito Loco Taco Bake (shown in collage above) - Love Taco Bell's Dorito Loco Tacos? You'll go crazy for this easy casserole recipe. Easy White Castle Casserole (shown in collage above) - It's all the flavors of White Castle burgers in an easy baked dinner. 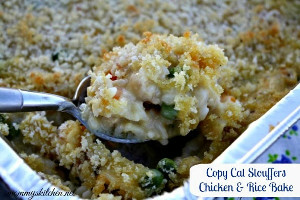 Cracker Barrel Copycat Chicken Casserole - One of our most loved copycat recipes ... ever! Baked side dish recipes are a comforting addition to any main dish. These copycat recipes for side dish and appetizer casseroles are cheesy and absolutely irresistible. From Cracker Barrel's famous hash brown casserole, to hot baked dips, these restaurant recipes pair perfectly with any meal. 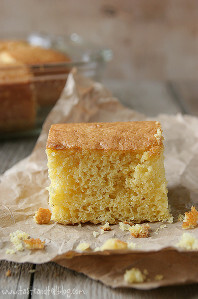 Just Like Boston Market Cornbread (shown) - There's never a bad time for cornbread, and this restaurant recipe is the best. Cracker Barrel Hash Brown Casserole Clone - Perfect for a potluck or holiday meal! Copycat Applebee's Spinach Artichoke Dip - Serve this copycat recipe at a party and you'll earn praises from everyone. Cracker Barrel Old Country Store Hash Browns - These baked hash browns are the perfect breakfast side dish. Baked desserts are perfect for when you're feeding a crowd, or just want a warm, gooey treat. These copycat recipes for dessert "casseroles" are the best of the best from restaurants like Chili's and Applebee's. From fruit cobbler, to chocolate chip bars, and more, you'll be amazed at the great taste of these restaurant-quality desserts. 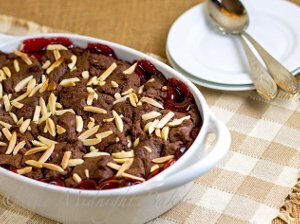 Just Like Cracker Barrel Chocolate Cherry Cobbler (shown) - The combination of chocolate and cherry is irresistible. Chili's Copycat Chocolate Chip Paradise Pie (shown in collage above) - Chocolate chip bars are covered in ice cream and chocolate sauce! Copycat Applebee's Maple Butter Pecan Blondies - Restaurant recipes for dessert don't get much better than this. Olive Garden Apple Carmelina - Similar to an apple cobbler recipe ... you won't be disappointed in this one.